Pastor gifts are an excellent and simple way to say, "Thank you," to your pastor. Here are a few guidelines to help you find the perfect pastor gift. 1) Expensive gifts are not necessary. They are nice to receive and I never turned down season passes to the local golf course! But from experience I can tell you that it really is the thought that goes into the gift that makes it special. 2) Money is an o.k. gift...it allows the pastor and his wife to purchase whatever they need. But that's the problem. When a pastor receives cash he often feels obligated to spend it on things he or his family needs. I don't say this to completely discourage you from giving cash as a pastor's gift. But if you give money, perhaps you could include a note that suggests they use it on something other than bills or daily necessities. 3) Be sure to include a gift for your pastor's spouse. 4) Don't forget your pastor's kids. Pastors and their spouses absolutely love it when people give gifts to their children. A gift to the pastors kids shows the pastor and his wife that you really understand the needs of their family. 5) Group gifts as well as gifts from individuals are both important. A group gift allows the church to do something elaborate...even extravagant. But individual gifts put names and faces to the display of appreciation...it helps show that YOU are grateful for your pastor. The gifts I describe below are only suggestions. The best ideas are those that you put a little of yourself into. If you still can't find what you're looking for, try these pastor gift ideas. 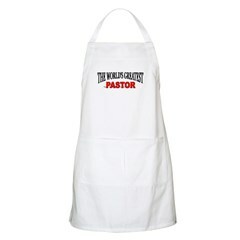 This apron is perfect for church picnics or dinners. He'll be baaaack. Available in several dark colors! Oh, you know you don't scare easily...you are a Pastor!! Doing the Lord's work is not for sissies! T-shirts, mugs, and more!! Tell the world that you appreciate your pastor! 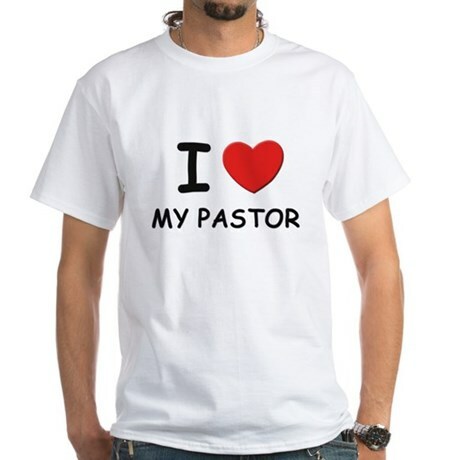 Better yet, have each person in your congregation wear one of these t-shirts to your pastor appreciation event. Take a look at my new store! It has a wonderful assortment of pastor gifts. 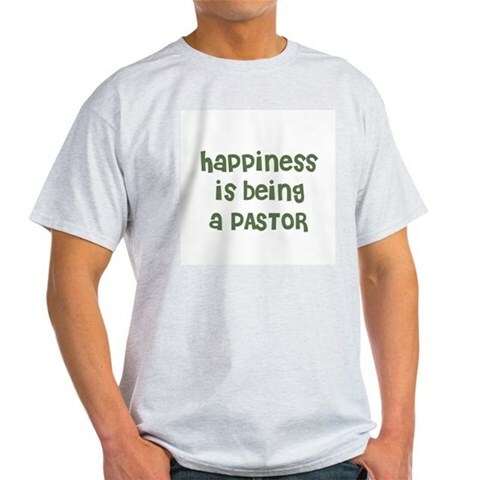 There are wall hangings, specialty ties, coffee cups, sculptures, figurines, garden stones, plaques, desk accessories, books, and much more - all designed as perfect pastor appreciation gifts. Handsome dark ceramic mug in chocolate brown features Scripture verse quotation from 1 Corinthians 15:58 Stand firm. Let nothing move you. Always give yourselves fully to the work of the Lord, because you know that your labor in the Lord is not in vain. Holds 14 ounces; Pastor border message; boxed for giving in clear acrylic gift box with three matching Scripture cards enclosed; bestselling pastor appreciation gift. It's easier for many people to contribute a few dollars to a group gift than it is to decide on and shop for a pastor appreciation gift. So for those people who would rather contribute to a collection, you can use these Pastor Appreciation Offering Envelopes . Give one to each family in your congregation and tell them when they need to be returned. These pastor appreciation gifts are a little unique - the perfect gift for the pastor who has everything. Lasered granite mini-stone displays Scripture sentiment for pastors It was he who gave some to be... evangelists, pastors, and teachers, to prepare God's people... Handsome 4" square design with scrollwork motif. Rich, natural appeal for desk or tabletop decor with included acrylic easel. Words to honor a special pastor are elegantly displayed on sand-carved ceramic tile plaque We thank God... for your work produced by faith, your labor prompted by love, and your endurance inspired by hope. 1 Thes. 1:3. 7.5" square in natural brown tones; complete with black metal decorative hinged easel. Pastor tribute, framed with shadowbox effect, is designed for either wall or desktop decor. With symbolic shepherd's crook motif and Scripture verses from Ephesians 2:10 / Hebrews 6:10 Pastor...It is God Himself who made you who you are and has given you new life from Christ Jesus, and long ago He planned that you should spend your life in helping others. For God is not unrighteous to forget your labor and the love which you have shown for His name's sake ministering to the needs of His saints as you still do. We thank God at every remembrance of you. Already handsomely gift-boxed; 9" x 9"; a keepsake gift to affirm and encourage your pastor. Sculpture cross celebrates the risen Christ, with dimensional empty tomb at base and engraved Scripture I am the Resurrection and the Life. He who believes in me will live... John 11:25. Fashioned of rugged stone resin, with silvertone dove dangle accent; easel-back for desktop display. 10.75" tall; boxed. "Moments of Faith" sculpture displays kneeling man in fervent prayer. Bronze tone finish on smooth black wood base with felt lining; bronze tone plaque is inscribed with Scripture from Jeremiah 29:13 You will seek me and find me when you seek me with all your heart. Approximately 7" x 6". Crafted in Beijing, by New Day Creations. A portion of the proceeds of this sculpture go to help children in China by supporting New Day Foster Home. "Moments of Faith" sculpture portrays seated woman with hands clasped in earnest prayer. Bronze tone finish on smooth black wooden base with felt lining; bronze tone plaque is inscribed with Scripture from Psalm 17:6 I call on you, O God, for you will answer me; give ear to me and hear my prayer." Approximately 7" x 6". Crafted in Beijing, by New Day Creations. A portion of the proceeds of this sculpture go to help children in China by supporting New Day Foster Home. "Moments of Faith" sculpture potrays the divine servant, as Jesus washes the feet of his disciple. Bronze tone finish on smooth black wooden base with felt lining; bronze tone plaque is inscribed with Scripture from Mark 9:35 ...Jesus...said, "If anyone wants to be first, he must be the very last, and the servant of all." Approximately 7" x 6". Crafted in Beijing, by New Day Creations. A portion of the proceeds of this sculpture go to help children in China by supporting New Day Foster Home. A handsome addition to your library or study, our set of weighty bookends is an illustration of the Great Commission. One side features a stone resin cross on which is engraved For God loved the world so much that he gave His one and only Son, so that everyone who believes in Him will not perish but have eternal life. A globe of stone resin on the second bookend displays true continent shapes of North and South America, Europe, Asia, and Australia. Scripture verse from Matthew 28:19-20 is engraved: Therefore, go and make disciples of all the nations, baptixing them in the name of the Father and the SOn and the Holy Spirit. Teach these new disciples to obey all the commands I have given you. Wood look resin base in deep brown blends with any decor; the bookends are 5.75" tall x 5.5" wide x 3.25" deep. A unique gift for pastor appreciation, elders, Bible scholars, and professors, this visual reminder of the call of Christ will be an encouragement and witness in any room. Felt base to protect your fine furniture; designed to reflect the love and grace of God. Scripture quotes and tribute to pastor, minister, and servant leaders in your church are displayed against muted background, and framed in warm wood 9" x 20" copper striated frame. Two verses are float-mounted next to the glass; the center focal art features inset design; unique horizontal style for the Christian home or church decor. Faithful Servant - We thank God at every remembrance of you. From Phil. 1:3; For God is not unrighteous to forget your labor and love which you have shown for His name's sake in ministering the need of His saints, as you still do. Hebrews 6:19; It is God Himself who made you what you are and has given you new life from Christ Jesus; and long ago He planned that you should spend your life helping others. Eph. 2:10. 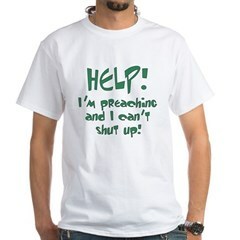 Pastor Appreciation gift idea. Give your pastor the gift that will help him remember everything that happened this past year. Create an actual book of photo memories. Try it and see how easy it is to give the gift that will always be remembered. Create and preserve a Smilebox scrapbook in minutes! Just drag photos, videos, music, and words into amazing scrapbook designs. Whether your pastor gift is a picture book or something else with pictures, gifts that help preserve memories will be treasured by your pastor. Here are some more ways you can use pictures to create the perfect gift. If you really want to get your pastor a special gift, try giving something right from the land of the Bible itself. Give him a gift from Israel. Get a team shirt for the pastor who is a sports fan from Football Fanatics . No matter what you give your pastor and/or his family, remember that it really is the personal thought that counts...it's not just a cliche'. Gifts are perfect when they are personal. Their value is determined not by how expensive they are, but by how thoughtful your pastor gifts are. For more gift ideas, see these pages as well: Gift Ideas, Gifts for Their Wives, Unique Pastor Gifts, and Pastor's Kids Gifts. Pastor gifts are only the beginning. Don't quit now. Create a whole pastor appreciation experience. What do you think? Have something to add? Copyright Daniel Sherman 2015 - All rights reserved. No content from my-pastor.com may be posted on any other web site without permission.